See you July 2018 in Manchester! The survey has been very kindly donated by Dr Matt Inada-Kim, national clinical advisor on sepsis. The survey was conceived to establish the degree of variation in current operational definitions of sepsis across England and to make recommendations to support improvements in practice. 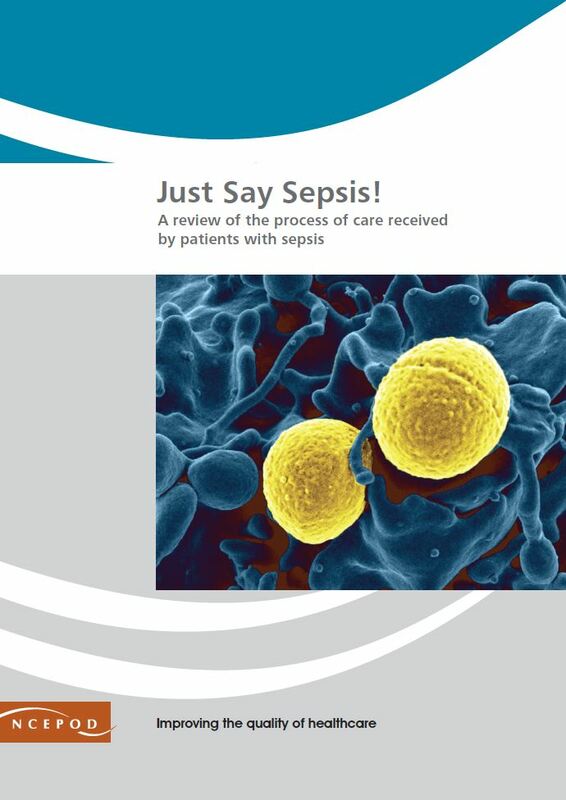 The Patient Safety Collaborative Sepsis Cluster undertook this survey to inform policy makers of current front-line sepsis practice and strengthen this critical bidirectional relationship. To download the survey click here. Are you part of a regional sepsis collaboration as the report recommends? Sepsis Prevalence and Outcome on the General Wards and Emergency Departments in Wales: Results of a Multi-Centre, Observational, Point Prevalence Study. A very interesting paper to read. Click here to download. Congratulations to the critical care outreach team at the Betsi Cadwaladr Hospital that has received the award for “Improving patient safety” presented by our NHS trust, Betsi Cadwaladr University Health Board. The clinical lead Dr Catriona Chalmers and manager Mr Mark Williams-Jones are exceptionally proud of our team. The critical care outreach team at the Betsi Cadwaladr Hospital was created in 2013. How are they going to affect your practice? Time to start a debate in the NOrf Forum!! The Society of Critical Care Medicine (SCCM) and the European Society of Intensive Care Medicine (ESICM) released the new sepsis definition with the Third International Consensus Definitions for Sepsis and Septic Shock (Sepsis-3). What does the Critical Care Outreach community think about Sepsis 3? As part of a major NIHR funded study into the effectiveness of current approaches to detecting and rescuing deteriorating patients in adult general wards in the NHS in England, we are conducting a survey of all acute trusts. We are asking all hospitals participating in National Cardiac Arrest Audit to complete a survey about their use of interventions such as track and trigger systems, critical care outreach, handover tools etc. The aim will be to understand the impact these various practices have on in-hospital cardiac arrest rates and survival. No individual hospitals will be identified in the findings and we hope to produce a report which maps current services across England as well as the quantitative analysis by the end of the year. The survey was sent to the main NCAA contact at each hospital (usually a resuscitation officer) late last year with a request to pass it on to the staff member most likely to be able to complete it (the majority respondents to date have been members of the Critical Care Outreach Team). We would like to thank all those who have completed the survey so far, your input will be invaluable. If your Trust is yet to complete the survey then you might consider scheduling a phone conversation with our research team. It takes an average of 20 minutes to get all the information we need. If you haven’t heard about the survey and want to know more then please contact us via the email below. Please help us complete this valuable research.